Commercial Appraisal Web Design - Appraiser Websites. 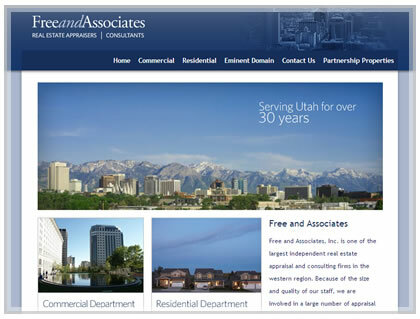 Free and Associates requested a redesign of their current website. A clean and professional look and feel with both residential and commercial appraiser biographies are present. All their consultants are represented with service information about their appraisal services.